Rusty Peters is a senior Gija man of Joowoorroo skin. His bush name Dirrji refers to dingo pups looking out of a hole at sunrise. He was born under a Warlagarri or Supplejack tree on Springvale Station south west of Warmun. His spirit came from a crocodile his father had killed when his mother became pregnant. Rusty grew up on Springvale learning traditional law and working as a stockman. When his father was killed in a tragic riding accident at Roses Yard, the family moved to Mabel Downs where he became renowned as a horse breaker. He lived for some time at Nine Mile reserve at Wyndham after the introduction of award wages forced people off stations but then moved to Warmun where with other senior Gija artists such as Hector Jandany and George Mung-Mung he helped start the school. Rusty made prints and did some painting while working for Waringarri Arts in the 1990s. He moved to Crocodile Hole when Freddie Timms based the Jirrawun Aboriginal Arts group there in 1997 and began to paint on canvas. 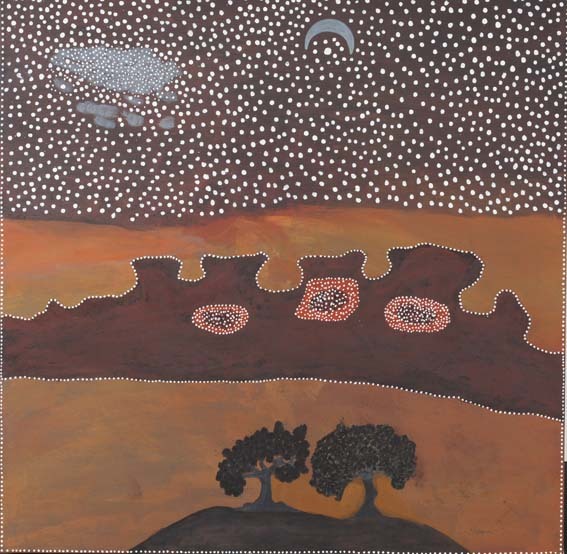 His detailed knowledge of the land and stories from Springvale and neighbouring Moola Boola stations is reflected in distinctive paintings in traditional red and yellow ochres and black charcoal. While recognisably part of the ‘Warmun’ style the intricate curves mapping Country, dark caves and rivers in his pictures are particular to Rusty’s work. After the closure of Jirrawun Art in 2010 Rusty Peters returned to paint with Warmun Art Centre. 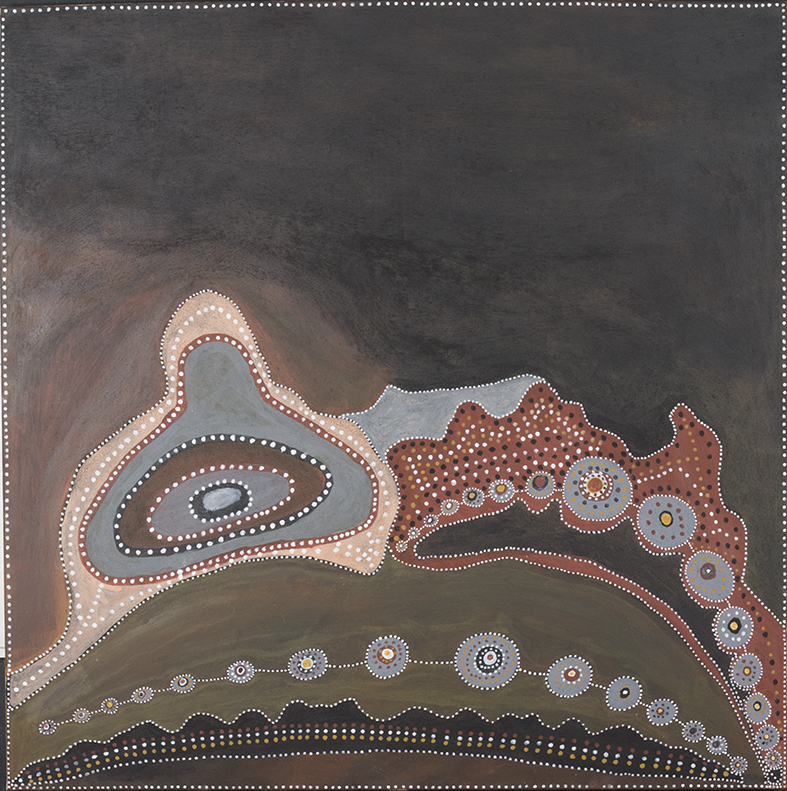 In 2015, Rusty was a finalist for the National Aboriginal and Torres Strait Islander Art Award (NATSIAA) and in 2017, his paintings were featured in the National Gallery of Australia in Canberra, as part of the National Indigenous Aboriginal Art Triennial (NIAAT).